Estate Planning. It may look like a term for people of considerable wealth, but everyone has an “estate.” In fact, your car, home, other real estate, investments, checking account, and even furniture and other personal possessions comprise your estate. Naturally, you cannot keep these things when you pass away, but you can control how your estate is given to the loved ones and organizations you care about. 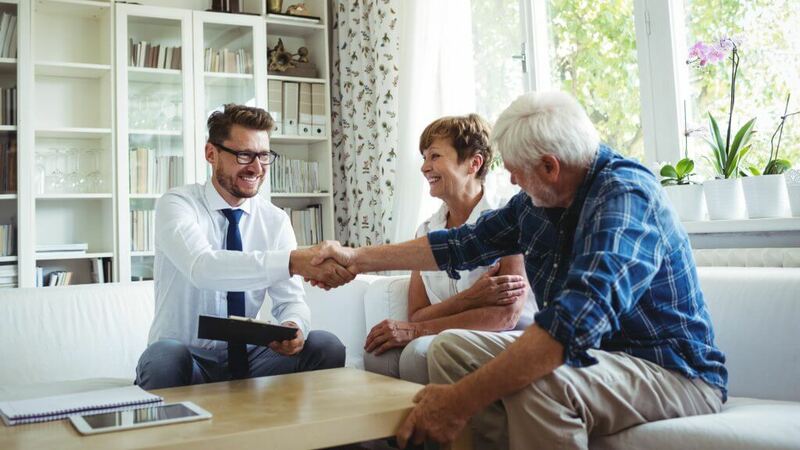 In short, estate planning is a clear set of instructions that dictate whom you want to receive something of yours, what they’ll be receiving, and when and how they’ll receive these items. A Naperville estate planning attorney plays a key role in ensuring that your estate is fully and clearly drafted, and for when that day comes, an attorney provides proper management and distribution of the estate. At The Homer Law Firm, we understand it’s not easy to plan for death, but we have also seen, firsthand, how an improperly managed estate can create complications for the surviving family members. Likewise, without an estate, Illinois probate laws then control and determine the whom, what, when, and how of your estate. Effectively planning and estate administration isn’t an expensive process, and regardless of your assets, you may find endless benefits for you, your family and loved ones, and others. This is especially true when setting up a trust, for example, that allows significant tax benefits for the assets you wish to pass on. For Naperville and Chicago’s most revered estate planning attorneys, contact Homer Law today at (630) 428-3311, or you can visit our Naperville office at 200 E. 5th Avenue. Meanwhile, you can learn more about estate planning below. Life insurance death benefits may be subject to estate taxes if the policy is owned by the insured. One solution to this problem is to establish an Irrevocable Life Insurance Trust (ILIT) so that the insurance proceeds will not be subject to estate tax at the insured’s death. The concept of the ILIT is relatively simple. Instead of having the insured own the life insurance policy on his own life, thus causing estate tax inclusion, the insured can create a separate trust whose trustee, usually the spouse of the insured, will own and have all incidents of ownership in the life insurance policy. If the trust owns the policy, the proceeds will not be included in the insured’s gross estate even though the insured created the trust and established the terms for distribution of the trust’s assets upon his death. The current federal estate tax exemption is $5.5 million. However, the State of Illinois imposes an estate tax on estates valued at more than $4 million. The inclusion of life insurance benefits in the insured’s estate can substantially increase the tax liability of the estate. For such persons, an ILIT can be an excellent estate planning tool. An ILIT can get a bit complex when considering the gift tax ramifications involving the payment of premiums. However, there are methods to avoid this problem. The services of a skilled estate planning attorney can help individuals achieve their goals and minimize the estate tax consequences. The Mission of The Homer Law Firm is to provide clients with competent, confidential, and ethical legal services at an affordable price. Philanthrophy and charitable contributions are great ways of spreading goodwill and supporting worthwhile causes. In fact, the charitable gifts that you leave behind have the potential to change the world. The Internal Revenue Service (IRS) seeks to encourage charitable behavior through the establishment of complex tax breaks. Through the help, management, and guidance of an experienced Naperville estate planning attorney, establishing a charitable trust as part of your estate plan can provide you with significant income and estate tax benefits. At The Homer Law Firm, P.C., our experienced attorneys will provide comprehensive guidance on how you can make the most out of your charitable gift, both for the organization as well as for you and your family. Because setting up a charitable contribution in your estate plan can be quite complicated, depending on the specific type of trust you establish, it is not advised to go about this process on your own. If you are thinking about establishing a charitable trust, contact The Homer Law Firm at (630) 428-3311 to schedule an appointment. Services which lessen the burden of government. Charitable trusts can use the full scope of estate planning tools as well. For example, your life insurance policies, retirement accounts, trusts, and other assets are valued in how they are distributed while you are alive, as well as through the directions provided in your will. In other words, the various types of charitable trusts allow donors (such as yourself) to sell assets without incurring capital gain or to reduce taxable income. In the state of Illinois, you have several options when establishing your charitable trust, all of which retain various donation methods, benefits for the trustee, and benefits for the donor. Charitable Remainder Trust: the charitable remainder trust (CRT) is considerably effective for donors with low basis, appreciated assets such as stocks or real estate. In this type of estate plan, the trust pays you first and the charity second, hence the “remainder” part of the title. By funding this type of trust, the donor can sell assets without incurring capital gain, making CRTs an efficient means of transferring property, benefiting from charitable income tax deductions, and reducing estate taxes while still enjoying the benefits of the assets. Charitable Remainder Annuity Trusts (CRAT) and Charitable Remainder Unit Trusts (CRUT) are two types of CRTs available when donors want to provide a non-charitable beneficiary with income over a period of time. Charitable Lead Trust: the charitable lead trust (CLT) is highly useful when reducing a current taxable income. Unlike the CRT, a CLT pays the charity first and the family or beneficiaries second. The trust is often given to the charity, and after a certain period of time, such as when all taxes are reduced, the remainder of the trust transfers to the trust beneficiaries. Therefore, beneficiaries face lower gift taxes and estate taxes, and it also allows you to bypass your charitable deduction AGI limit. Other charitable trust options available to donors include charitable gift annuities, charitable life estates, donor advised funds, and private foundations or family foundations. Determining the most beneficial way to utilize your assets and give to both family and charity can be quite complicated, and it takes the experience of an acclaimed estate planning attorney to make sure that your assets are handled in the most efficient, productive manner. As a Certified Financial Planner (CFP) with a legal career spanning over 30 years, attorney Thomas J. Homer has served many clients in Naperville, DuPage and Will counties, as well as Chicago, and he has provided his clients with effective wealth accumulation and wealth preservation strategies. Stephen Sotelo, a respected attorneys at The Homer Law Firm, has extensive experience with charities such as the Make-A-Wish foundation in Illinois. Making a charitable trust decision is not easy, as it takes comprehensive tax and wealth accumulation knowledge as well as insight into the various charities around Illinois. At The Homer Law Firm, we provide a personal approach with our estate planning strategies, working with you every step of the way to make sure your estate is handled properly. Setting up a living trust can be vital in preparing for financial well-being and security of your loved ones. There are very important steps to take to ensure that your decisions on preparing your living trusts do not burden your loved ones. Choosing the right trust lawyer to help is one of them. It is best that you get an attorney who holds the prestigious certified financial planner designation. Our attorneys at The Homer Law Firm in Naperville, Illinois, can help with your concerns. The Homer Law Firm provides legal assistance in preparing trusts. With 30 years of legal experience, attorney Thomas J. Homer brings his outstanding reputation among his clients and the legal community to work for you. The mission of The Homer Law Firm is to provide clients with competent, confidential, and ethical legal services at an affordable price. Contact us to schedule an appointment. A revocable living trust is a method of avoiding the probate process. If assets are owned by a trust, no court proceeding is involved in the transfer of assets on death. Therefore, no newspaper notices or letters to heirs are required, no records become public, and no statutory waiting periods apply. 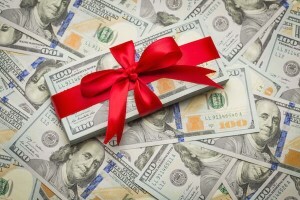 Estate tax laws permit an unlimited deduction for gifts made to a spouse. A QTIP trust grants the surviving spouse a lifetime right to the income. However, upon the death of the surviving spouse the remainder of the QTIP passes to beneficiaries specified by the first to die. QTIP trusts are used by married couples who want to take advantage of the unlimited marital deduction while at the same time assuring that the couple’s assets pass to the children upon the death of the survivor. QTIP planning is especially useful in subsequent marriages. A properly drafted QTIP trust qualifies for the unlimited marital deduction even though the surviving spouse never receives outright access to the assets. The services of a skilled estate planning attorney can help individuals achieve their goals and minimize the estate tax consequences. The mission of The Homer Law Firm is to provide clients with competent, confidential, and ethical legal services at an affordable price. A special needs trust can be created to ensure that beneficiaries who are disabled can avoid losing access to essential government benefits such as SSI, state-sponsored Medicaid, or federal housing assistance. Special needs trusts can provide benefits and protect the assets of the disabled. Special Needs Trusts are frequently used to protect an inheritance on behalf of a disabled person. They can also be used in conjunction with structured settlements in personal injury settlements. Special Needs Trusts are also known as OBRA Trusts named for the federal Omnibus Budget Reconciliation Act of 1993, which authorized transfers to a special needs trust to be exempt from Medicaid transfer penalties if the trust is established for the benefit of certain “disabled” individuals. 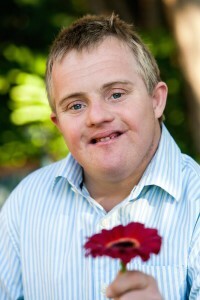 The Illinois legislature has also authorized the use of special needs trusts for disabled beneficiaries: “A discretionary trust for the benefit of an individual who has a disability that substantially impairs the individual’s ability to provide for his or her own care or custody and constitutes a substantial handicap shall not be liable to pay or reimburse the State or any public agency for financial aid or services to the individual except to the extent the trust was created by the individual or trust property has been distributed directly to or is otherwise under the control of the individual, provided that such exception shall not apply to a trust created with the disabled individual’s own property or property within his or her control if the trust complies with Medicaid reimbursement requirements of federal law. Notwithstanding any other provisions to the contrary, a trust created with the disabled individual’s own property or property within his or her control shall be liable, after reimbursement of Medicaid expenditures, to the State for reimbursement of any other service charges outstanding at the death of the disabled individual. Property, goods and services purchased or owned by a trust for and used or consumed by a disabled beneficiary shall not be considered trust property distributed to or under the control of the beneficiary. A discretionary trust is one in which the trustee has discretionary power to determine distributions to be made under the trust.” 760 ILCS 5/15.1 (Source: P.A. 89 205, eff. 1 1 96.) Careful planning can preserve assets and enhance the quality of life of disabled individuals. The mission of The Homer Law Firm is to provide clients with competent, confidential, and ethical legal services at an affordable price. For families with a disabled family member, it is absolutely essential to preserve eligibility for government benefits during the lifetime of the individual. In fact, throughout Naperville and the State of Illinois, nearly one out of every ten families have a member with a disability or special needs. Through effective estate planning, you can make sure that your assets go to the people you care about most; however, making sure that those assets preserve critical government benefits requires specialized and highly specific estate drafting and management. Drafting an effective estate plan that ensures current and future government benefits for a member with a disability is extensively complex. 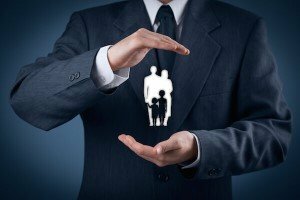 To provide a lifetime safety net for the individual, it is important to have a Naperville estate planning attorney who focuses on supplemental need trusts and who can navigate both Medicaid and SSI planning, if applicable, as well as estate planning. At The Homer Law Firm P.C. in Naperville, IL, our experienced estate planning attorneys will review your estate plan, will, or trust while providing essential guidance toward the development of a functional, reliable supplemental needs trust. Supplemental needs planning is an ever changing area of law, and with shrinking tax dollars and limited expansion of group homes, it is more important than ever to leave a child or grandchild with lifetime eligibility for needs-based benefits. In most cases, there are two different types of supplemental needs trusts. Understanding how these trusts affect both the benefactor and the beneficiary can provide greater assurance that his or her benefits will remain in place throughout the duration of his or her life. Nonetheless, it is critical to have an estate planning attorney to help you gauge your current estate and how you can best provide for your family member. Third Party Supplemental Needs Trusts: The most common type of supplemental needs trusts is generally established for a disabled person with the funds of someone other than the beneficiary. If you were to simply give money directly to a disabled loved one, there is a very high chance that he/she will lose some, or all, of the public benefits. Thus, a third party supplemental needs trust gives your loved one extra resources without it affecting their benefits. A supplemental needs trust should be part of your estate plan because inheritance or traditional revocable living trusts can increase the risk of public benefit loss. Self-settled Supplemental Needs Trusts: A self-settled supplemental needs trust, also known as a first-party supplemental needs trust or an OBRA trust, is standard for disabled individuals who wish to protect their own money while maintaining eligibility for public benefits. 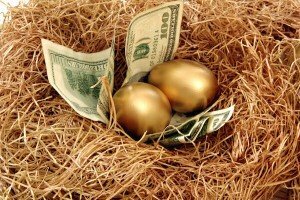 Rules for self-settled trusts were formalized in the Omnibus Budget Reconciliation Act of 1993 (OBRA). Establishing a self-settled trust reduces the values of assets reported on a Medicaid or SSI applications. Therefore, if the disabled person receives an inheritance or a settlement for a personal injury lawsuit, for example, those funds won’t have an effect on benefits. While alive, the disabled person can use the money in an OBRA trust for needs not covered by public benefits. However, upon the death of the beneficiary, the remainder of the funds is used to reimburse the government for benefits received during life. Additionally, there are two subsets of OBRA trusts, including pooled and non-pooled trusts. In short, non-pooled trusts are generally reserved for people over 65 years old, while pooled trusts are reserved for people under 65. 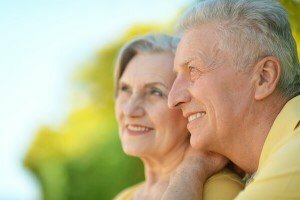 Supplemental needs trusts in Illinois can be a highly complicated manner, and when it comes to the care of your loved one, upholding best practices for the care, management, and distribution of a trust can provide a lifetime safety net. At The Homer Law Firm, we have served clients in Naperville and Chicago as well as throughout DuPage and Will counties for over 30 years, and we can provide extensive management and representation for your trust. Working alongside you and putting your interests at the forefront of our estate planning strategies, we will also make sure that you aren’t left out of any part of the process. No estate is too big or too small; everyone has an estate and when the time comes—it is a “when” and not an “if”—ensuring greater financial security and peace-of-mind to your family is one of the most selfless, loving things that you can do. Furthermore, estate planning is not solely for the retired. Mortality or the possibility of being unable to decide matters for yourself can come at any time, and it is essential to be prepared. At The Homer Law Firm, our estate planning attorneys have multi-decade experience in planning and managing wills, trusts, and probate in Naperville and throughout Illinois. Trust, competence, and ethical, affordable legal services form the backbone of our firm, and from establishing a will or living trust to managing federal and state probate laws regarding your estate, we’ll keep you and your family involved in every process. Because communication is a critical component of proper estate planning and administration, we consider the attorney-client relationship to be so much more than that, and we encourage our clients to come forward with any questions or concerns they may have. Our office is located at the Fifth Avenue Station in Naperville (200 E. 5th Avenue Ste. 123). If you would like information on setting up a will or trust, call to arrange an appointment with us at (630) 428-3311. We look forward to speaking with you. Copyright Homer Law Offices 2017. All Rights Reserved. Designed by Sociolus.